Gorgeous Czech glass button with a metal shank on the back. 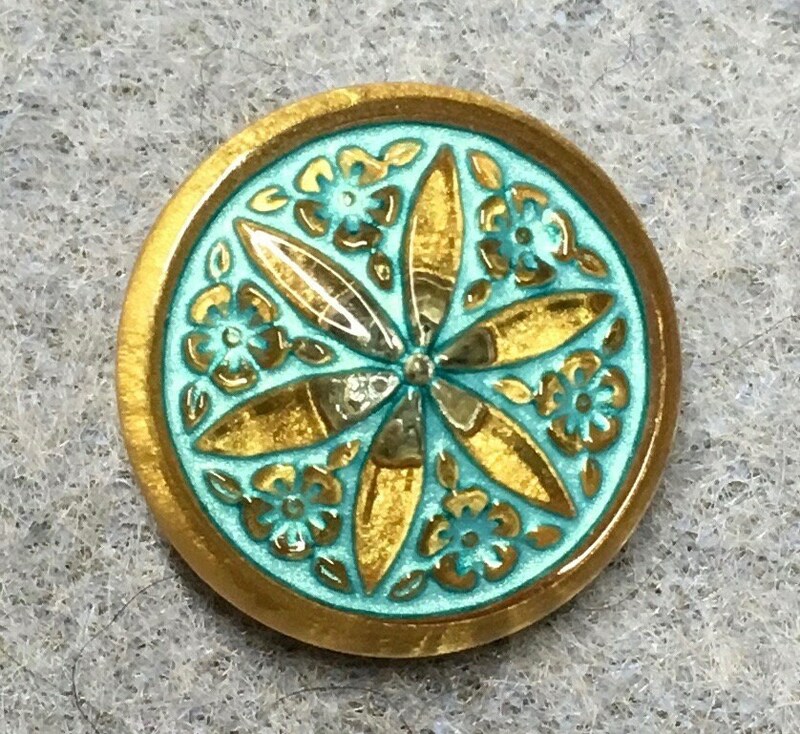 Star Flower - gold color with turquoise wash. Great for adding a touch of elegance to your work. 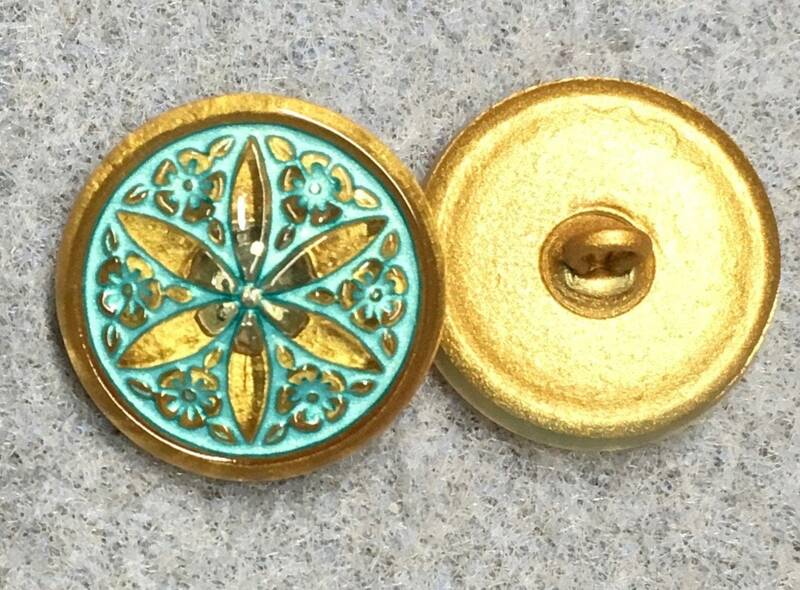 Use in jewelry making for a button closure, as a focal piece, or as a special touch to a hand sewn garment or bag. Size is 18mm. You will receive one button. This is a true work of art!